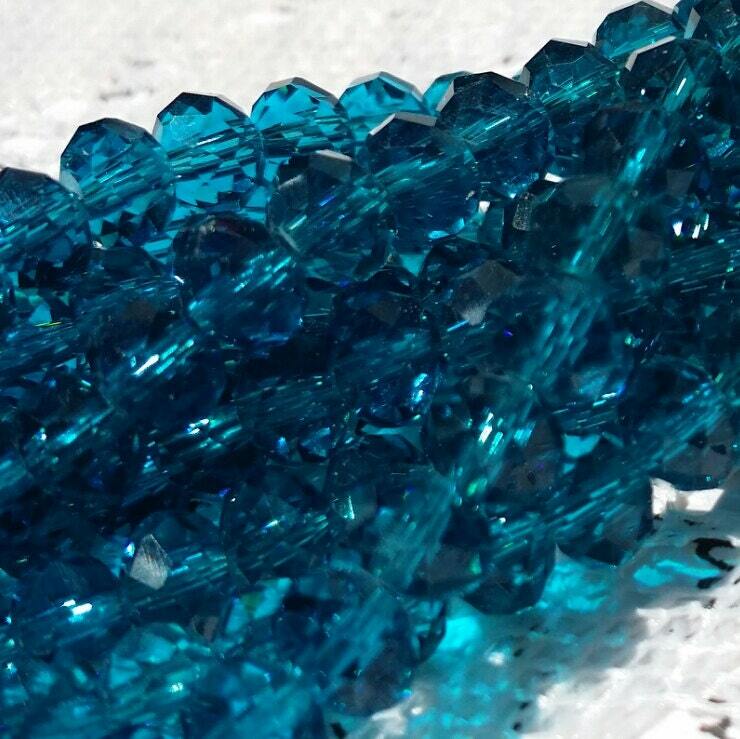 These are some gorgeous dark turquoise blue faceted glass beads! The make lovely bracelets, earrings, necklaces and I also use them in creating my angels! I love the way these crystal faceted glass rondelles sparkle! This listing is for 42 pieces. Beautiful shade of blue beads. VERY NICE, FAST SHIPMENT. THIS STORE HAS MUCH OF WHAT I NEED!